Meeting point for all automotive spare parts specialists is Wulf Gaertner Autoparts AG at the Auto Expo in India from January 5th to 11th to learn more about MEYLE and the MEYLE-HD parts. BREZAN's open house “BREVAK” takes place every 2 years in an extraordinary setting. This year, hosted on a ship, each day calling at another city in the Netherlands, it allows exhibitors to welcome new visitors daily. Wulf Gaertner Autoparts AG will also be on board presenting their range of MEYLE and MEYLE-HD parts with a special focus on suspension & steering components, cooling parts and rubber-metal parts. We look forward to meeting you at this exceptional fair. Meeting point for all automotive spare parts specialists is Wulf Gaertner Autoparts AG at the Automessen from February 8th to 11st 2012 to learn more about MEYLE and the MEYLE-HD partsut MEYLE and the MEYLE-HD parts. Meeting point for all automotive spare parts specialists is Wulf Gaertner Autoparts AG at the Einstieg February 24th to 25th to learn more about MEYLE and the MEYLE-HD parts. Meeting point for all automotive spare parts specialists is Wulf Gaertner Autoparts AG at International Motor Show from march 8th to 18th to learn more about MEYLE and the MEYLE-HD parts. Meeting point for all automotive spare parts specialists is Wulf Gaertner Autoparts AG at the Expomobil in Barcelona from march 15th to 17th to learn more about MEYLE and the MEYLE-HD parts. Meeting point for all automotive spare parts specialists is Wulf Gaertner Autoparts AG at the INAPA from March 28th to 31st to learn more about MEYLE and the MEYLE-HD parts. Meeting point for all automotive spare parts specialists is Wulf Gaertner Autoparts AG at the Auto China 2012 from April 23th to May 2nd to learn more about MEYLE and the MEYLE-HD parts. Meeting point for all automotive spare parts specialists is Wulf Gaertner Autoparts AG at the Automechanika 2012 from July 18th to 20th to learn more about MEYLE and the MEYLE-HD parts. Meeting point for all automotive spare parts specialists is Wulf Gaertner Autoparts AG at the Moscow International Motor Show from August 27th to 30th to learn more about MEYLE and the MEYLE-HD parts. Meeting point for all automotive spare parts specialists is Wulf Gaertner Autoparts AG at the Automechanika from September 11st to 16th to learn more about MEYLE and the MEYLE-HD parts. Meeting point for all automotive spare parts specialists is Wulf Gaertner Autoparts AG at the Autoshow from October 17th to 20th to learn more about MEYLE and the MEYLE-HD parts. Meeting point for all automotive spare parts specialists is Wulf Gaertner Autoparts AG at the Rendez-Vous GROUPAUTO on November 10th to learn more about MEYLE and the MEYLE-HD parts. Meeting point for all automotive spare parts specialists is Wulf Gaertner Autoparts AG at the Automechanika from December 11st to 14th to learn more about MEYLE and the MEYLE-HD parts. Meeting point for all automotive spare parts specialists is Wulf Gaertner Autoparts AG at the AutoZum in Salzburg from January 16th to 19th to learn more about MEYLE and the MEYLE-HD parts. Meeting point for all automotive spare parts specialists is Wulf Gaertner Autoparts AG at the Auto Professioneel in Gorinchem from February 5th to 7th to learn more about MEYLE and the MEYLE-HD parts. Meeting point for all automotive spare parts specialists is Wulf Gaertner Autoparts AG at the Geneva International Motor Show from March 7th to 17th to learn more about MEYLE and the MEYLE-HD parts. Meeting point for all automotive spare parts specialists is Wulf Gaertner Autoparts AG at the MechanEx in Manchester from May 21th to 22th to learn more about MEYLE and the MEYLE-HD parts. Meeting point for all automotive spare parts specialists is Wulf Gaertner Autoparts AG at the Automechanika in Istanbul from April 11th to 14th to learn more about MEYLE and the MEYLE-HD parts. Meeting point for all automotive spare parts specialists is Wulf Gaertner Autoparts AG at the Automec in Sao Paulo from April 16th to 20th to learn more about MEYLE and the MEYLE-HD parts. Meeting point for all automotive spare parts specialists is Wulf Gaertner Autoparts AG at the autopromotec in Bologna from May 22th to 26th to learn more about MEYLE and the MEYLE-HD parts. Meeting point for all automotive spare parts specialists is Wulf Gaertner Autoparts AG at the TransTech in Hamburg from May 24th to 26th to learn more about MEYLE and the MEYLE-HD parts. Meeting point for all automotive spare parts specialists is Wulf Gaertner Autoparts AG at the Automechanika in Dubai from June 11th to 13th to learn more about MEYLE and the MEYLE-HD parts. Meeting point for all automotive spare parts specialists is Wulf Gaertner Autoparts AG at the MIMS in Moskow from August 26th to 29th to learn more about MEYLE and the MEYLE-HD parts. Meeting point for all automotive spare parts specialists is Wulf Gaertner Autoparts AG at the Equip Auto in Paris from October 16th to 20th to learn more about MEYLE and the MEYLE-HD parts. Meeting point for all automotive spare parts specialists is Wulf Gaertner Autoparts AG at the MechanEx in Sandown from November 12th to 13th to learn more about MEYLE and the MEYLE-HD parts. Meeting point for all automotive spare parts specialists is Wulf Gaertner Autoparts AG at the Automechanika in Shanghai from December 10th to 13th to learn more about MEYLE and the MEYLE-HD parts. EQUIP AUTO in Algier from March 3th to 6th: Meet the high-quality spare parts manufacturer Wulf Gaertner Autoparts AG on the ground and learn more about MEYLE and MEYLE-HD parts. Thailand Auto Parts & Accessories in Bangkok from April 28th to May 1th: Meet the high-quality spare parts manufacturer Wulf Gaertner Autoparts AG on the ground and learn more about MEYLE and MEYLE-HD parts. Automechanika Middle East in Dubai from June 3th to 5th: Meet the high-quality spare parts manufacturer Wulf Gaertner Autoparts AG on the ground and learn more about MEYLE and MEYLE-HD parts. Automechanika in Frankfurt from September 16th to 20th: Meet the high-quality spare parts manufacturer Wulf Gaertner Autoparts AG on the ground and learn more about MEYLE and MEYLE-HD parts. Hall 5.1, stand no. A10. Automechanika in Shanghai from December 9th to 12th: Meet the high-quality spare parts manufacturer Wulf Gaertner Autoparts AG on the ground and learn more about MEYLE and MEYLE-HD parts. AutoZum in Salzburg from January 21th to 24th: Meet the high-quality spare parts manufacturer Wulf Gaertner Autoparts AG on the ground and learn more about MEYLE and MEYLE-HD parts. 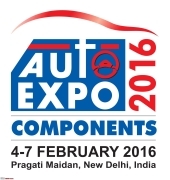 ACMA Automechanika New Delhi from February 26th to March 1th: Meet the high-quality spare parts manufacturer Wulf Gaertner Autoparts AG on the ground and learn more about MEYLE and MEYLE-HD parts. Equip Auto Algeria from March 2th to 5th: Meet the high-quality spare parts manufacturer Wulf Gaertner Autoparts AG on the ground and learn more about MEYLE and MEYLE-HD parts. Auto-Salon in Genf from March 5th to 15th: Meet the high-quality spare parts manufacturer Wulf Gaertner Autoparts AG on the ground and learn more about MEYLE and MEYLE-HD parts. Motortec Automechanika in Madrid from March 11th to 14th: Meet the high-quality spare parts manufacturer Wulf Gaertner Autoparts AG on the ground and learn more about MEYLE and MEYLE-HD parts. Automec Brasilien in Sao Paulo from April 7th to 11th: Meet the high-quality spare parts manufacturer Wulf Gaertner Autoparts AG on the ground and learn more about MEYLE and MEYLE-HD parts. Autofix Show in Cyprus from April 18th to 19th: Meet the high-quality spare parts manufacturer Wulf Gaertner Autoparts AG on the ground and learn more about MEYLE and MEYLE-HD parts. Autopromotec in Bologna from May 20th to 24th: Meet the high-quality spare parts manufacturer Wulf Gaertner Autoparts AG on the ground and learn more about MEYLE and MEYLE-HD parts. Automechanika Middle East in Dubai from June 2th to 4th: Meet the high-quality spare parts manufacturer Wulf Gaertner Autoparts AG on the ground and learn more about MEYLE and MEYLE-HD parts. Automotive Week in Korea from September 4th to 6th: Meet the high-quality spare parts manufacturer Wulf Gaertner Autoparts AG on the ground and learn more about MEYLE and MEYLE-HD parts. GBS Chișinău, Moldova on the 5th of september: Meet the high-quality spare parts manufacturer Wulf Gaertner Autoparts AG on the ground and learn more about MEYLE and MEYLE-HD parts. MECA Boat Show in Norway from September 14th to 16th: Meet the high-quality spare parts manufacturer Wulf Gaertner Autoparts AG on the ground and learn more about MEYLE and MEYLE-HD parts. Salon 3P in Tunis from September 19th to 20th: Meet the high-quality spare parts manufacturer Wulf Gaertner Autoparts AG on the ground and learn more about MEYLE and MEYLE-HD parts. Equip Auto in Paris from October 13th to 17th: Meet the high-quality spare parts manufacturer Wulf Gaertner Autoparts AG on the ground and learn more about MEYLE and MEYLE-HD parts (Hall 6, stand no. 6M062). Sejem Avtodelov in Ljubljana from October 16th to 17th: Meet the high-quality spare parts manufacturer Wulf Gaertner Autoparts AG on the ground and learn more about MEYLE and MEYLE-HD parts. 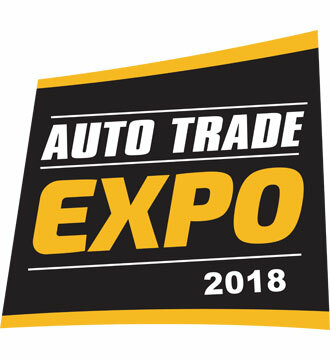 Auto Trade Expo in Dublin from October 17th to 18th: Meet the high-quality spare parts manufacturer Wulf Gaertner Autoparts AG on the ground and learn more about MEYLE and MEYLE-HD parts. Automechanika Shanghai from December 2th to 5th: Meet the high-quality spare parts manufacturer Wulf Gaertner Autoparts AG on the ground and learn more about MEYLE and MEYLE-HD parts. German Pavilion, hall 2, stand no. F10.